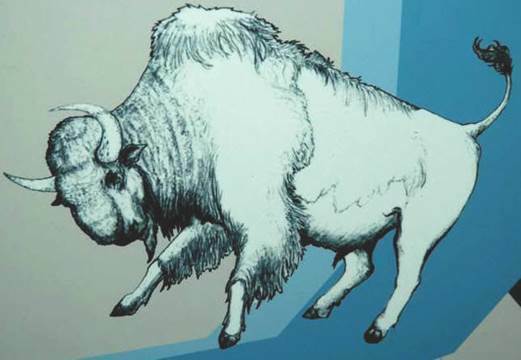 The ancient bison (a.k.a. 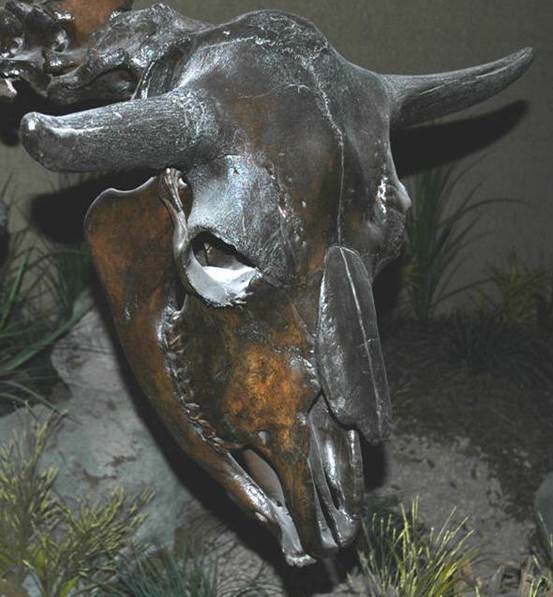 Ice Age bison) had a slightly larger body & horns compared with the living American bison/buffalo (Bison bison). Bison antiquus was originally described by Joseph Leidy in 1852. Bison antiquus skeleton from the near-uppermost Pleistocene near Folsom, New Mexico, USA (CM 10192, Carnegie Museum of Natural History, Pittsburgh, Pennsylvania, USA). Bison antiquus skull from the near-uppermost Pleistocene near Folsom, New Mexico, USA (CM 10192, Carnegie Museum of Natural History, Pittsburgh, Pennsylvania, USA). 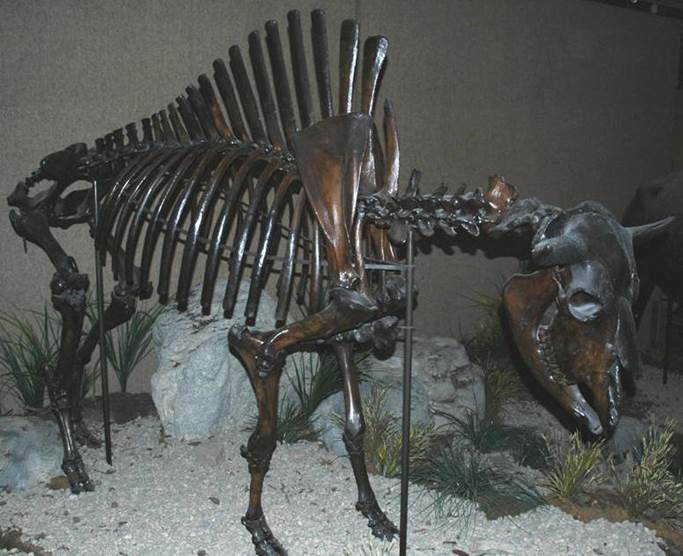 Bison antiquus reconstruction (from Carnegie Museum of Natural History signage, Pittsburgh, Pennsylvania, USA).